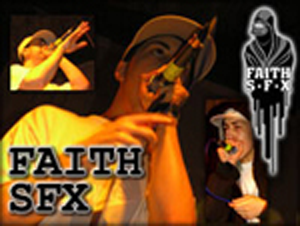 Faith SFX is the 2005 UK beatboxing champion. In this exclusive video interview for HUMANBEATBOX.COM, he tells us about is music, shares a unique Faith SFX sound and tells us about his forthcoming projects. Faith SFX is the 2005 UK beatboxing champion. In this exclusive video interview for Humanbeatbox.com, he tells Danielle Oryino about is music, shares a unique Faith SFX sound and tells us about his forthcoming projects. Interview conducted by Danielle Oryino. Pictures and live footage from WanDan. Edited and produced by TyTe.